Being prone to allergies and sleepless nights, I'm definitely used to having puffy eyes in the morning. 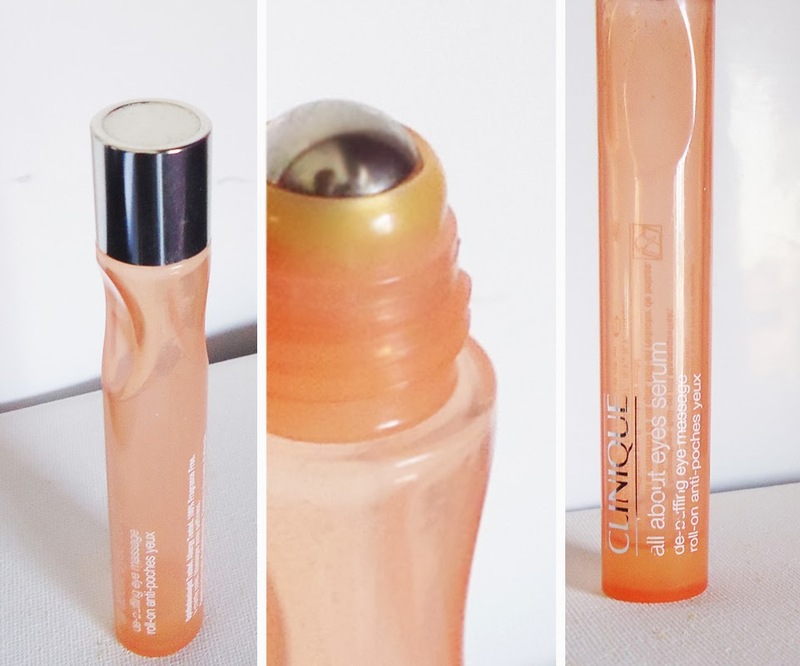 A product like Clinique All About Eyes Serum is the ideal solution for this kind of issue, thanks to its cooling metal sphere that applies the oil-free serum directly on the under eye area. Provides an instant cooling and hydrating effect, which helps to reduce bags and puffiness quite quickly, brightening the overall appearance. The formula with caffeine, antioxidants and botanicals soothes and relieves these less-than-glamorous concerns. I'm not sure if it helps to reduce "temporary" dark circles, since mine are here to stay, but I believe it might be beneficial over time, due to the caffeine content. I have to say, there's no better feeling in the morning than applying this cooling serum with its metal sphere. You'll feel immediately awake and ready to face the day! It's excellent for all skin types, non-irritating and ophthalmologically tested. Can be applied AM and PM, or whenever you feel like reapplying. I prefer to use it just in the mornings, under my eye cream.